John Kurtenbach from the American International School of Bucharest tells us about how his school has seen a benefit from using Britannica School. What benefits has your institution seen from using Britannica? 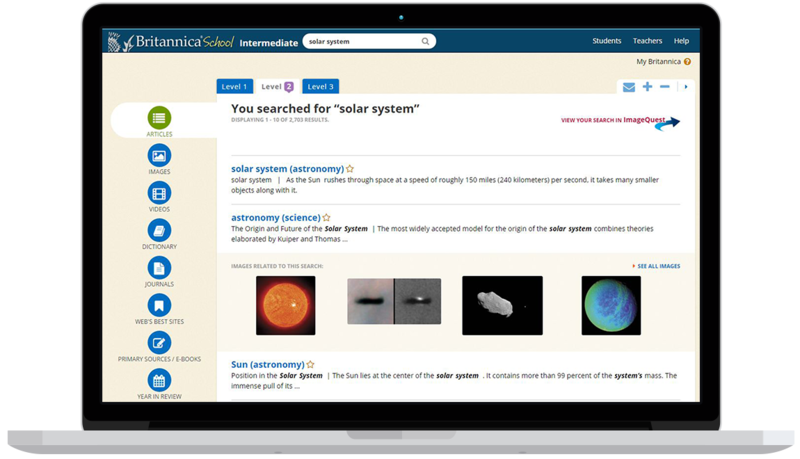 In the upper elementary classrooms teachers and students use Britannica’s database for guided and independent research projects. The interface is easy for students to navigate, and the ability to adjust the difficulty of the text allows many students to access the content. In the middle school particularly, students know to go first to Britannica when beginning a search. While there is sometimes a struggle to get students to choose a database such as Britannica to use, rather than the open Web, Britannica has helped us make access as easy as possible and students do use the resource a lot. The differentiated learning levels, the ease in which citation can be done and the breadth of topics, as well as the reliability of the content.